There's a reason this book has 'treasure' in the title, for a treasure, indeed, it is. Commissioned by the Hush Music Foundation, an organisation that creates soothing soundtracks for children undergoing hospital treatment and procedures, this striking book features a treasured collection of poems, short stories and illustrations from a stellar cast of children's book creators. Most entries are partnerships between authors and illustrators, and include such classic and exciting pairings as Michael Camilleri and Jackie French, Mark Greenwood with Frané Lessac, Julie Vivas with Margaret Wild, Danny Katz with Mitch Vane, Doug McLeod with Craig Smith, Jane Godwin with Anna Walker, Stephen Michael King with Glenda Millard, as well as individual contributions by such luminaries as Tohby Riddle, Alison Lester, Bruce Whatley, Chris McKimmie, Nick Bland, Bob Graham and Shaun Tan. Entries vary from very short to moderately long, from the heart-achingly emotive to the fun, fast and fantabulous. Illustrations are also varied in style and type, making this a true feast of endless surprises as pages are flicked. 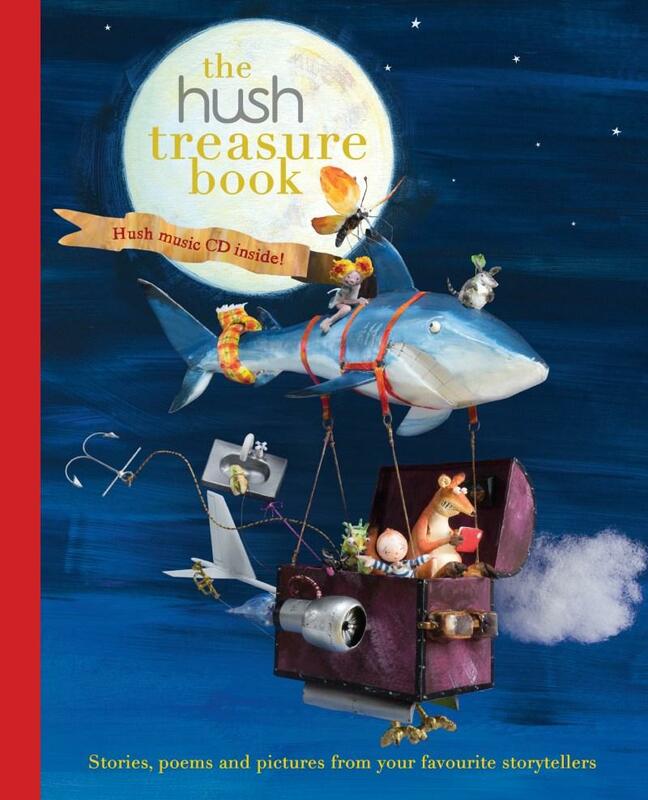 The book includes a bonus CD featuring a special compilation of Hush music compositions. A beautiful and gorgeously-produced complement to the world-renowned Hush music initiative for children. Physician Dr Catherine Crock founded the Hush Music Foundation while working with children with cancer at the Royal Children's Hospital, Melbourne. She decided more could be done to reduce distress and promote an atmosphere of healing and peace, so she brought together some of Australia's foremost professional musicians and composers with an inspiring vision. This network of talented individuals volunteered their time to create a collection of unique albums to help young patients and their families. The result is HUSH's collection of musical albums, designed to inspire hope and calm in people of all ages. HUSH has provided the albums to every children's hospital in Australia and many internationally where it is used in treatment rooms, operating theatres and waiting areas. Now HUSH has expanded its work into another branch of the arts: this Hush Treasure Book is the result. Dr Crock has received many awards for this work, including the 2014 Art Music Award for Individual Excellence for her contributions to music.